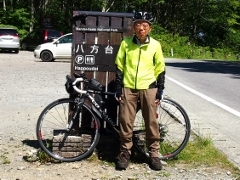 Today I visited Shiramizu-Amidado site in Iwaki City, which was a national historic site. 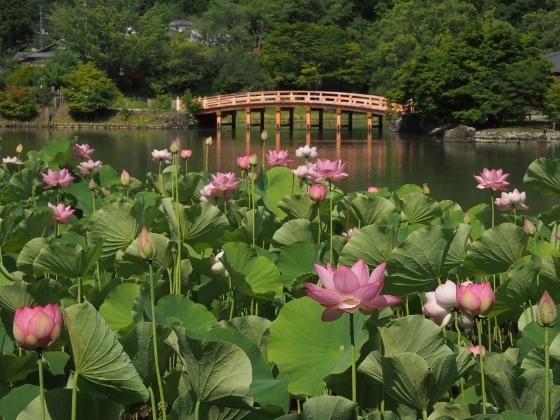 Lotus flowers in the pond were extremely beautiful as shown above, perfectly matching the atmosphere of Jodo-style garden and structures. 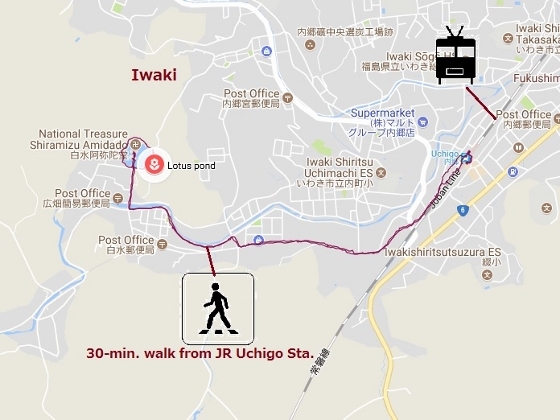 The site is located about 30-minute walk from Uchigo Station of JR Joban Line. 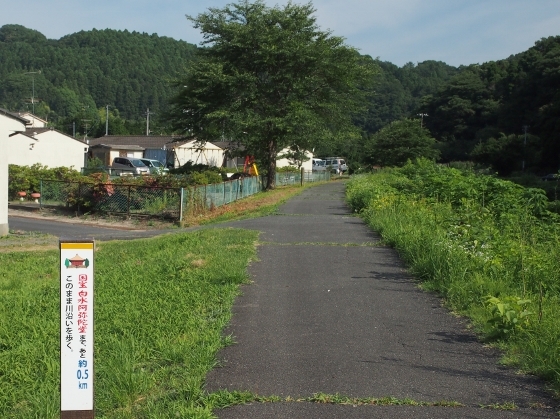 As I walked toward the site, I found a sign as shown above, which said that the national treasure site was 0.5km away along this road. 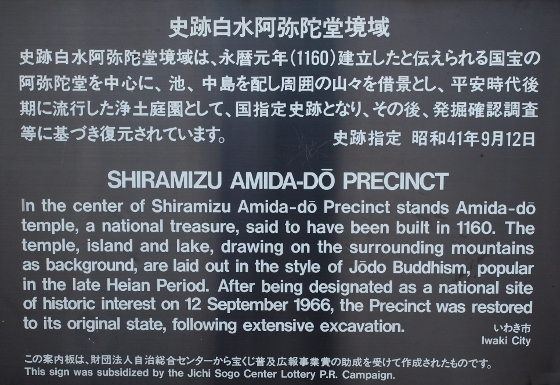 At the entrance, there stood a brief description board of the site as shown above both in Japanese and English. Lotus pond is on the right hand side from the entrance and some other views this morning are shown above. 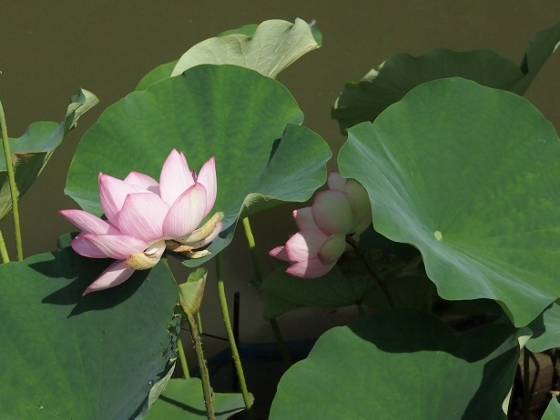 Photo above shows special variety of lotus called “Chusonji Lotus”. Only limited number of this variety was found at this site, in a pond beside the entrance bridge. 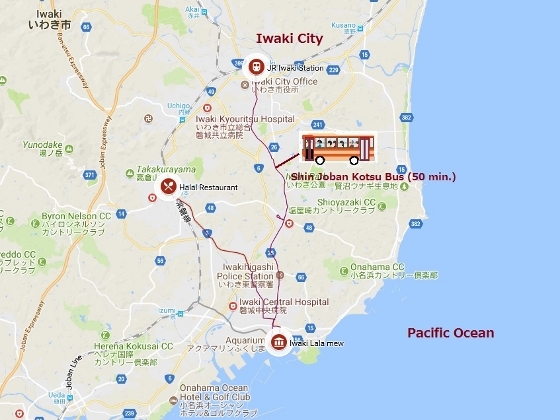 The original seed believed to be 800 years old was found at Chusonji Temple in Iwate Prefecture, a world heritage site, and the plant was brought from there. 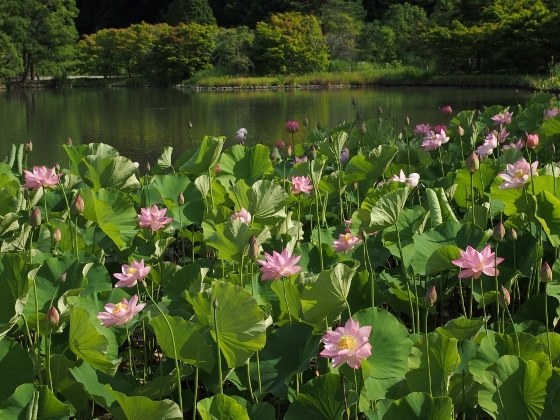 Meanwhile, all the other lotus plants at this site were called “Kodaihasu” or ancient lotus. 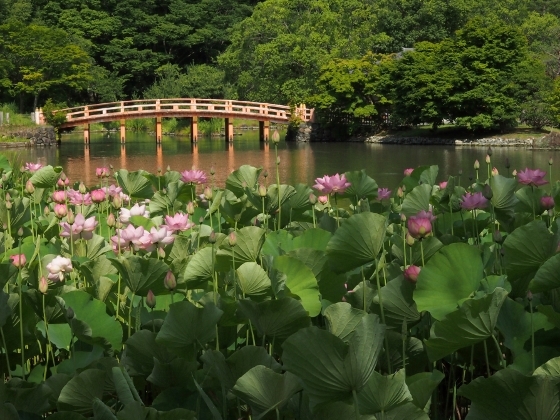 The origin of Kodaihasu lotus dates back to 2000 years ago. 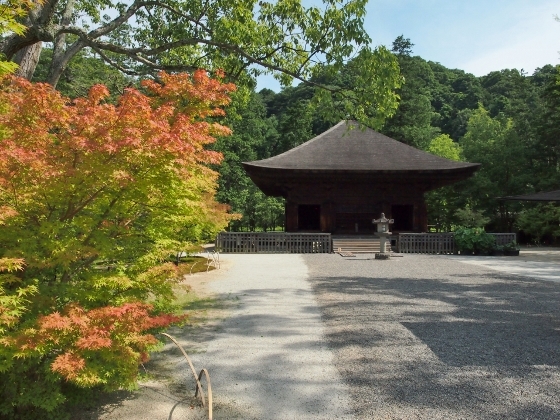 Photo above shows today’s solemn view of Shiramizu-Amidado, a national treasure building built in 1160 by a noble woman called Tokuhime. 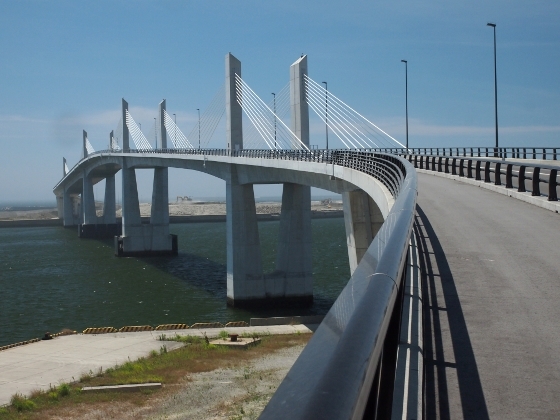 It has been preserved since then with periodic maintenance work. 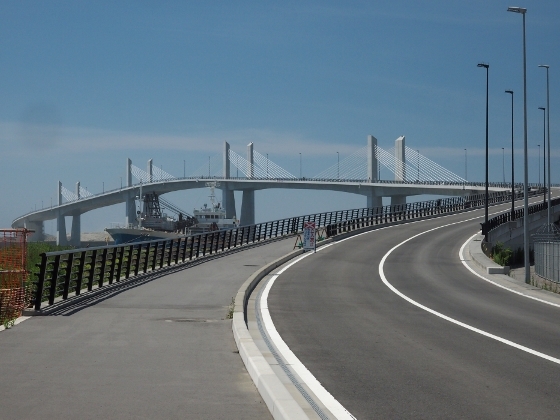 Today I walked along Onahama Marine Bridge in Iwaki. 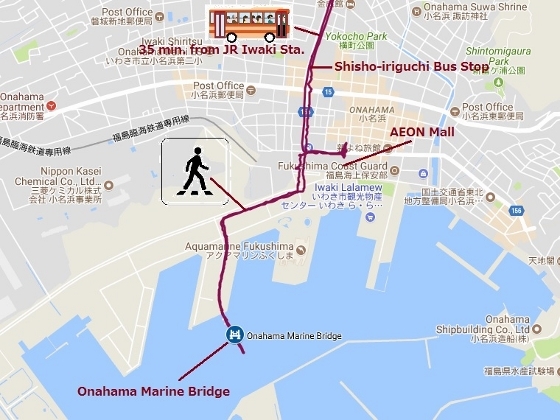 The bridge is located in Onahama Port which is the largest shipping plus fishing port in Fukushima as well as a major tourist attraction site. 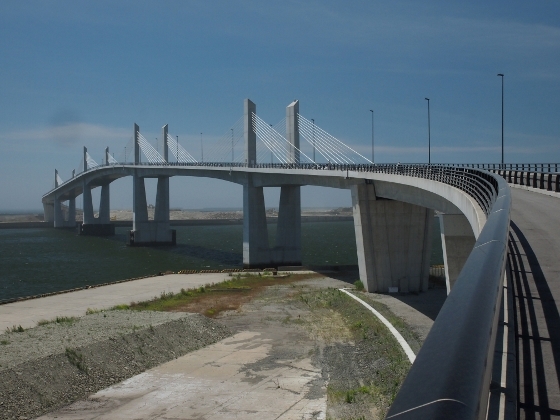 The bridge connects separate landfill part called Eastern Port with the main port. 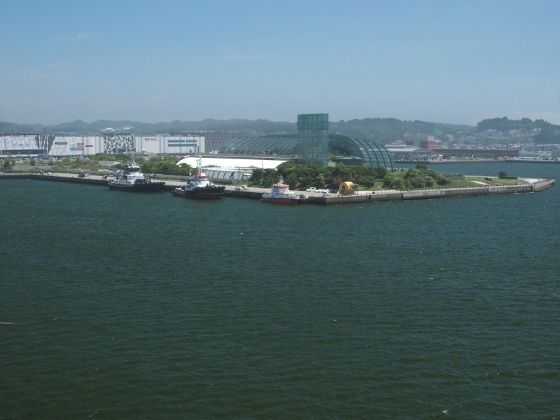 It is 927m long and 24.5m high above sea level at the highest point. 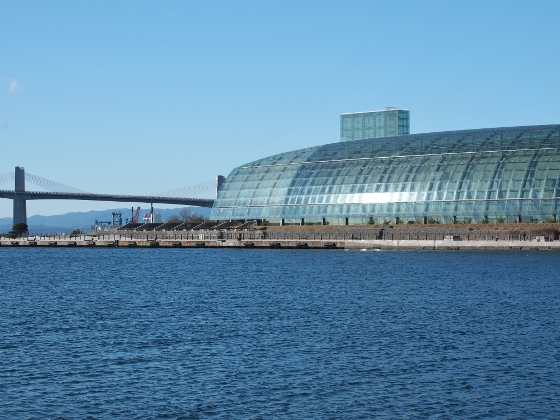 The bridge was constructed mainly for industrial use, but a part of the pedestrian walkway has been open to public on every Sunday and is scheduled to continue through this November. Photo above was a view on the bridge today. 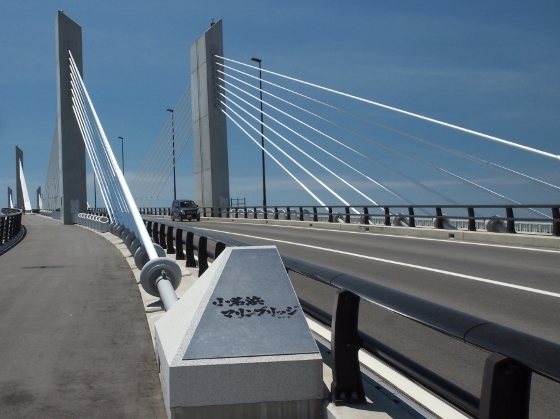 A name plate of the bridge inscribed with Japanese characters appeared in front and robust suspension ropes were seen in the back. 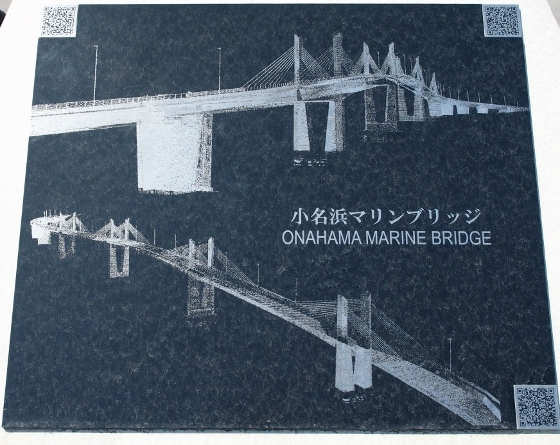 Photo above shows memorial plate placed at the entrance of the bridge. 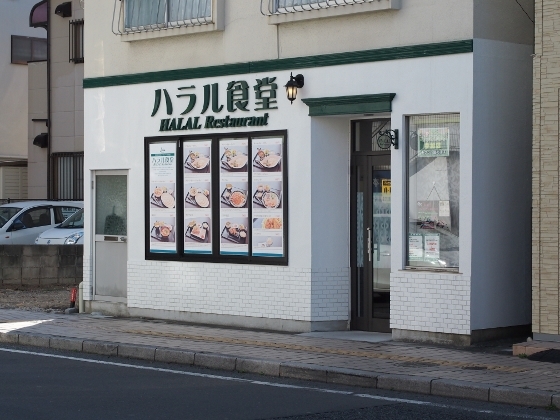 The location was about 10 minute walk from AEON Mall, a brand new shopping complex just opened last month. 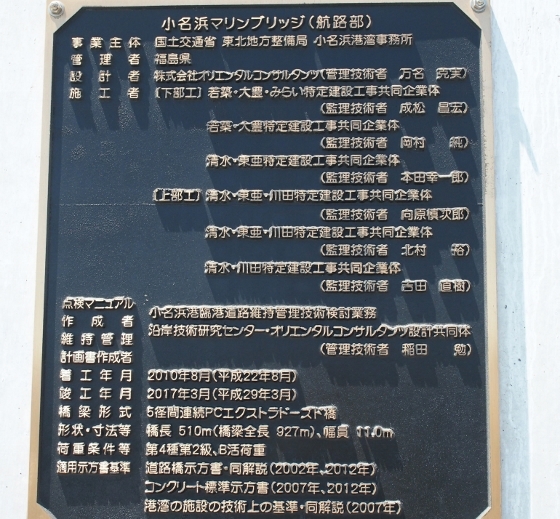 A brief description panel of the bridge stood at the site as shown above. Several photos above show some of the bridge views as I walked upward along the walkway. 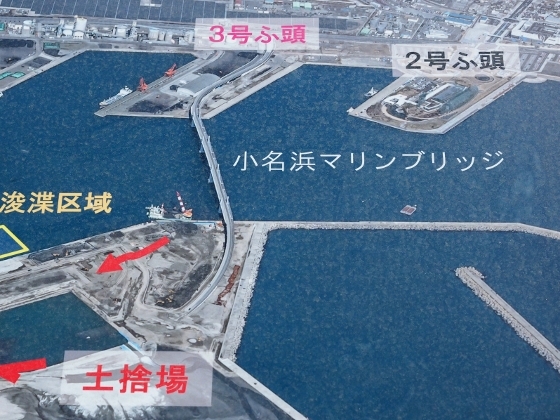 Near the center I found an official description panel which said the construction started on August, 2010 and the bridge was completed on March, 2017. 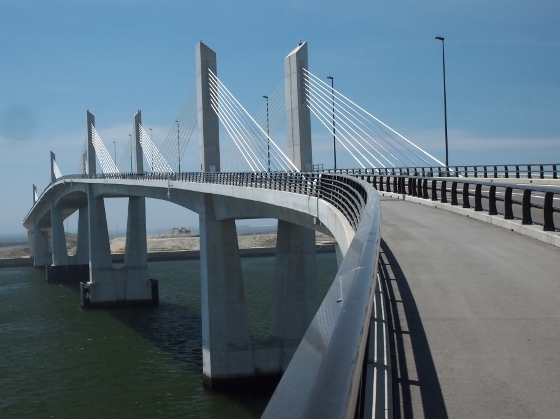 Today the bridge opened at 9 in the morning, but at around half past 10 the wind became stronger that the bridge management officials had to close the bridge in the middle. They told everyone on the bridge about the change. I was at the center of the bridge then, and I was the last person to leave. 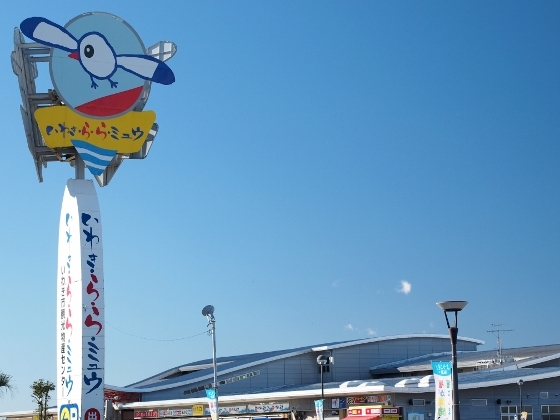 The photo above was taken during my walk back to the entrance, which showed pier no.2 including an aquarium “Aquamarine Fukushima” and the new shopping complex AEON Mall in the back.